Friday night: Cold and windy. Lows below zero for most. Saturday: Cold and windy. Highs in the single digits above zero. Sunday: Partly cloudy, highs in the teens to near 20. Here we go again. Another blast of cold is moving into New England this weekend, on the heels of what was a blizzard for parts of New England this week. So far blizzard conditions have been confirmed on Block Island and in Downeast Maine, with cities like Groton, Connecticut; Providence, Rhode Island; Boston and Worcester, Massachusetts; Portsmouth, New Hampshire; and Portland, Maine, all reporting near blizzard conditions. The National Weather Service is still reviewing data from a few of those cities to see if the official criteria, which requires winds of 35 mph or greater along with quarter-mile visibility or less for three consecutive hours, was met. Now the story is once again the cold. Temperatures on Friday night will plummet below zero for most cities and towns, except for areas along and south of the Mass. Pike, which may stay closer to or just above zero. 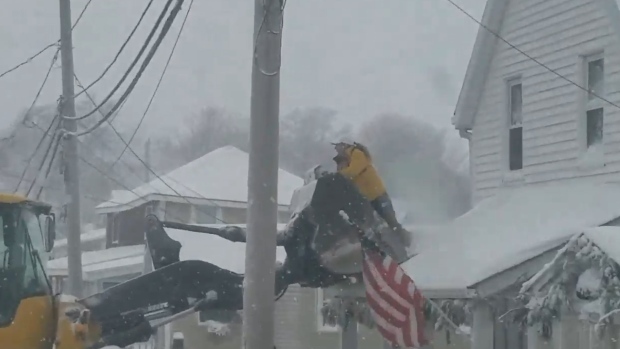 Officials used a front-end loader to rescue residents in Hull, Mass., from the second floor of their homes that were inundated by flood waters after a powerful storm that pummeled the East Coast. Saturday doesn’t improve much, with highs on either side of zero for many. 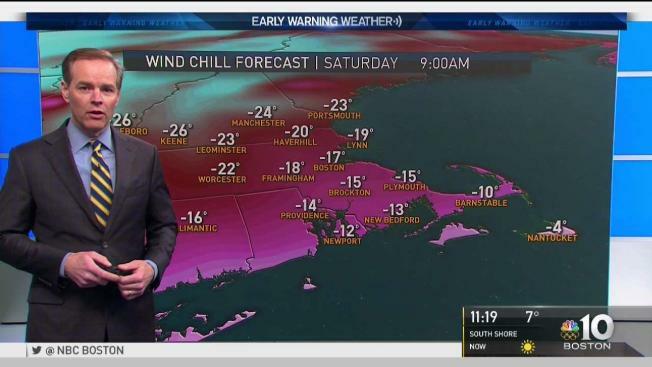 Towns in Southern New England reaching the teens will be the lucky ones. All the while winds will remain very strong out of the west, ensuring wind chill values as low as -40. Sunday brings a wind shift and slightly less cold temperatures in the teens and 20s. By Monday we’ll be in the 30s in many spots, with a few light rain and snow showers coming through. Temperatures will hold in the 30s much of next week, with some pushing or exceeding 40 degrees late-week!